Fish are now in surface waters. A hectic feeding moment can suddenly surprise an angler and in a good day the best catch of year may be in the end of line. 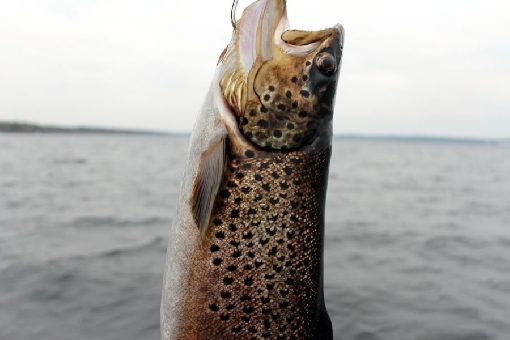 Open water fishing season may last only a short time. Waters have suddenly got colder because of chilly weather of last days. Weather forecast says that cold period will continue at least next 10 days. Small lakes were frozen during this weekend and also on the larger lakes bay waters have got – or will soon get – the ice cover. Temperature of surface waters on open water areas of major lakes vary from 2 to 5 decrees. The length of open water period depends on air currents; if next mild weather phase will be late, season will end rather soon.